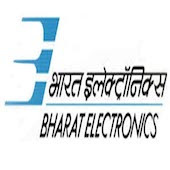 Online Application Details for Bharat Electronics Limited BEL Recruitment of 3 Software Engineers is given below. Application form and duly attested documents are to be sent to Head-HR, BEL-THALES System Limited, CNP Area, BEL Industrial Estate, Jalahalli, Bengaluru, Karnataka – 560013. In envelope super scribed with 'Application for the Post of Post Name'.